UNDISPUTED: Would another 1st Round exit prove Russell Westbrook is overrated? ► Thanks for watching! UNDISPUTED: Zeke shows up to start of Cowboys offseason workouts without new deal ► Thanks for watching! UNDISPUTED: Does Russell Wilson deserve the biggest contract in the league? ► Thanks for watching! 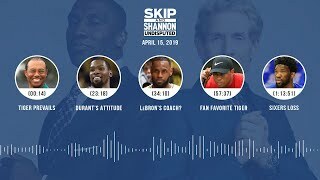 UNDISPUTED: Shannon SURPRISED Warriors blows 31-Pt Qtr lead in 135-131 loss to Clipper; KD: 9 TO ► Thanks for watching!